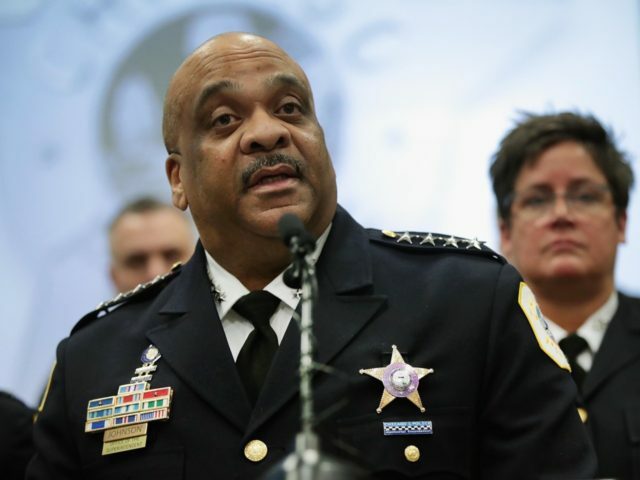 Chicago Police Department superintendent Eddie Johnson is reportedly furious that charges against Hollywood actor Jussie Smollett were dropped by Cook County State’s Attorney Kim Foxx on Tuesday. Foxx dropped all 16 felony charges against Smollett, whom police accused of faking a hate crime in January and blaming it on Trump supporters. The prosecutor reportedly cited Smollett’s community service as a reason to drop the charges and let him go. Charlie De Mar, a reporter for Chicago’s local CBS affiliate WBBM-2, reported that Johnson was “furious,” and that he had not been consulted or informed about the decision to drop the charges against Smollett. I’m left hanging my head and asking, why? Why would anyone, especially an African-American man, use the symbolism of a noose to make false accusations? How could someone look at the hatred and suffering associated with that symbol and see an opportunity to manipulate that symbol to further his own public profile? How can an individual who has been embraced by the city of Chicago turn around and slap everyone in this city in the face by making these false claims? Bogus police reports cause real harm. They do harm to every legitimate victim who is in need of support by police and investigators as well as the citizens of this city. Chicago hosts one of the largest pride parades in the world, and we’re proud of that as a police department and also as a city. We do not, nor do we ever, tolerate hate in our city, whether that hate is based on an individual’s sexual orientation, race or anything else. So I’m offended by what has happened, and I’m also angry. I love the city of Chicago and the Chicago Police Department, warts and all. But this publicity stunt was a scar that Chicago didn’t earn and certainly didn’t deserve. Earlier this month, the Chicago Tribune reported that Foxx had tried to persuade police to turn the investigation over to the FBI after an appeal by Tina Tchen, former chief of staff for First Lady Michelle Obama. Smollett’s legal team, which had always claimed that he had been treated unfairly in the media, told reporters on Tuesday in Chicago that there had been no “deal,” and that charges had simply been dropped. They added that the Nigerian-American brothers, Olabinjo and Abimbola Osundairo, were the ones who had attacked Smollett.